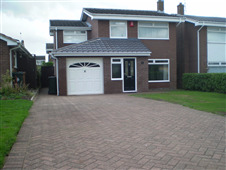 Below are images of the selected job - Garage & Porch Extensions & Drive - simply click the images to view larger versions. We are constantly adding to this section of our website, but in the meantime if you would like to see examples of our work that are not yet listed, please contact us either using the form to the right, or by calling the telephone numbers at the top of the page. Click headers below to return to services.